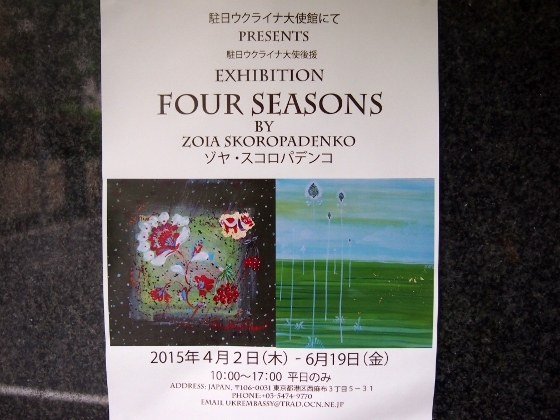 Today, I visited Embassy of Ukraine in Tokyo and looked at paintings by Ukrainian artist Zoia Skoropadenko. All of the works include images of symbolic folk arts of Fukushima such as Okiagarikobushi doll, Miharugoma toy horse, and Oborisoma ware. The exhibition is open through June 19, 2015 every day excluding Saturday, Sunday, and Ukrainian holidays. 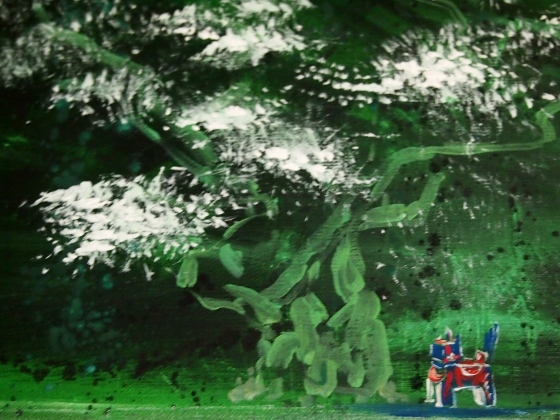 Only small parts of the art are shown in the photos below in order to give just the images of the works. Okiagarikoboshi doll is depicted in the work above. Only part of the work is shown here. Miharugama toy horse is shown above. Only part of the work is shown here. 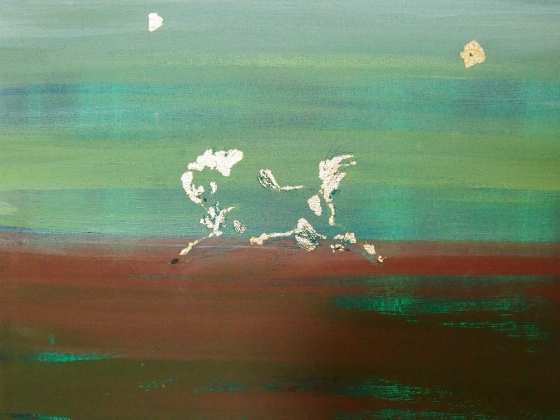 And symbolic galloping horse image of Oborisoma ware is shown in the work above. Only part of the work is shown here. Above photo shows the poster of the exhibition. 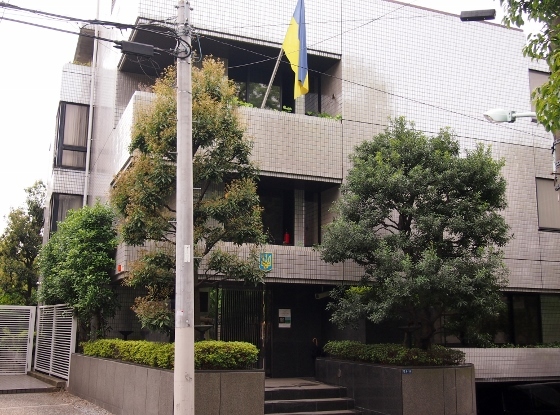 Above photo shows Embassy of Ukraine and the location is referred to the map. 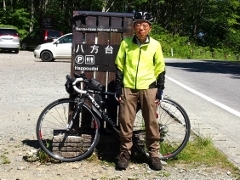 Nearest stations are Roppongi or Hiroo metro stations. Ukraine and Fukushima have in common that both are severely affected by nuclear power plant disaster. 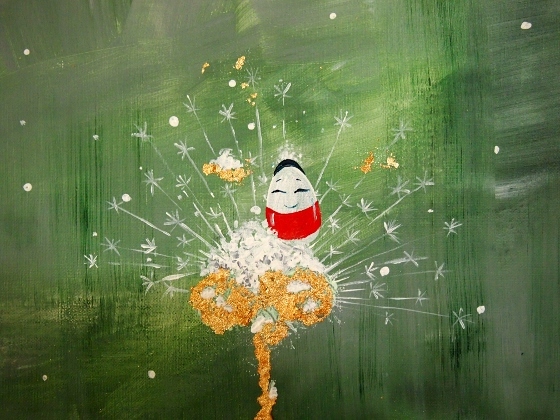 I am greatly delighted to understand that the Ukrainian artist has special warm hearted interest toward Fukushima.